Here are the top foods you should include in your diet based on research of dietary approaches for bone health. Higher fruit and vegetable intake is associated with less bone mineral density (BMD) loss and a resulting higher BMD. You see, fruits and vegetables provide a whole host of key nutrients like folate, vitamin B12 and bone-supporting magnesium, potassium, and vitamin K1. Plus antioxidants like carotenoids and vitamin C. And let’s not forget calcium! Dark leafy greens like kale, collard greens, bok choy and broccoli raab are all calcium-rich foods. And it couldn’t be easier to add them to your diet. They can all be incorporated into salads, soups, smoothies and even juices. If you want to change things up, try the lesser-known mustard and turnip greens, which have a bit of a spicier note. Don’t overlook the sea veggies either. 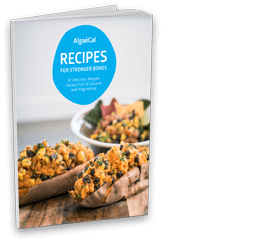 Along with kelp, other sea veggies like nori, wakame, and kombu are packed with calcium, phosphorus, magnesium, iron and other trace minerals that contribute to strong bones. 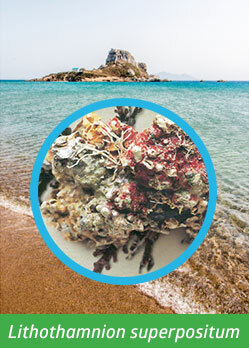 Just make sure your sea veggies are responsibly sourced to ensure sustainability and purity. When it comes to fruit, acerola cherries, guava, strawberries, and blueberries are all rich in antioxidants. Antioxidants (like vitamin C, beta-carotene, vitamin E and lutein) play a crucial role in bone health because they combat oxidative stress. And oxidative stress has been linked to many diseases, including osteoporosis. Antioxidants activate osteoblasts (bone-building cells), play a role in the mineralization process, and help reduce the activity of osteoclasts (bone-resorption cells). If you have low bone density or worry about your bone health, there’s another wonder-fruit you’ll want to know about. You may know it as the main ingredient in your parents or grandparents favorite juice, but it’s got a lot more going for it than you may think! Yes, we’re talking about prunes (dried plums)! Prunes have been shown to positively affect bone mineral density in a number of studies. In fact, their anti-inflammatory and antioxidant properties are just one aspect of their bone-building benefit. Prunes also contain boron, which is a trace mineral that’s been linked with reducing osteoarthritis symptoms and promoting stronger bone health. The most recent research shows that just 4-5 prunes per day is effective in protecting bone mineral density in postmenopausal women! 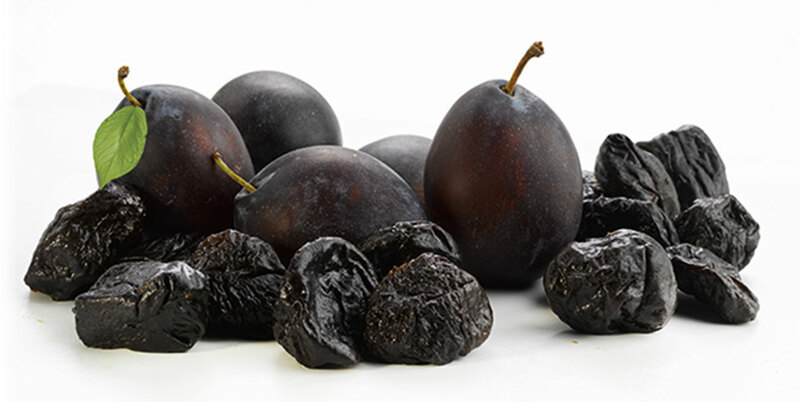 To discover more, check out our post on Prunes and Osteoporosis. If you’re a seafood fan, you’re in luck! You already know seafood tastes great, but research shows it protects your bones too. The Framingham Osteoporosis study looked at associations between polyunsaturated fatty acid and fish intake and hip bone mineral density. The levels were measured at baseline, and then four years later. Results showed that both women and men with who ate more than 3 servings of fish per week gained hip bone mineral density. And individuals with low to moderate fish intake ended up losing bone mineral density. The researchers concluded that fish consumption may protect against bone loss. They also noted that these protective effects on bone may be dependent on the omega 3 fatty acids eicosapentaenoic acid (EPA) and docosahexaenoic acid (DHA), specifically. EPA and DHA have been linked with positive bone health, improved eye health, cardiovascular health, and combatting depression and anxiety due to their anti-inflammatory properties. Additional cross-sectional studies have also associated habitual fish intake with greater BMD. Salmon, mackerel, sardines, and anchovies are among the oily fish packed with bone-healthy nutrients- especially those omega 3 fatty acids. In fact, canned sardines and sockeye salmon also pack a calcium-punch, boasting 383 mg of calcium and 239 mg of calcium in one serving! Finally, fish are an excellent source of protein and are typically lower in calories than meat or dairy. There’s no doubt dairy is a great source of complex essential nutrients like calcium, magnesium, protein, vitamin D, vitamin B12, zinc and riboflavin. (To discover exactly how much calcium is in dairy milk– and non-dairy alternatives– check out our “How Much Calcium is in Milk?” page). Given that dairy foods are considered an essential source of bone-building nutrients, plenty of studies have been conducted to discover their protection against osteoporosis. Some cross-sectional studies have reported positive links between milk consumption and bone density in later life, while others showing the benefits of milk on osteoporotic fractures is less convincing. The reason for all the mixed results? Lactose, a sugar found in cow’s milk. When it’s broken down in your body it produces two sugars: glucose and D-galactose. D-galactose promotes inflammation and chronic inflammation activates osteoclasts (cells that break down bones). We do acknowledge that dairy foods have been controversial and have been accused of leaching calcium from our bones, increasing the risk of fractures, osteoporosis and even cancer. However, when Bone Health Expert Lara Pizzorno sat down to sift through the research and evaluate the studies, she found some surprising results. Read more about the dairy, milk and osteoporosis controversy ㅡ including what lactose and D-galactose have to do with it ㅡ in our post: Milk and Osteoporosis. However, the good news is the majority of the research indicates dairy products help support healthy bones. So if you’re not allergic or sensitive to dairy products, keep enjoying them! Also, be sure to enjoy fermented dairy foods, like yogurt and cheeses, especially aged cheeses as these are completely lactose-free. In particular, organic plain, full-fat yogurt delivers the widest range of beneficial nutrients for bones. Not only does plain yogurt contain calcium, but magnesium, zinc, plus small amounts of vitamin K2 (in the form of MK-4), vitamin A, and vitamin D (if it is fortified) and a hefty dose of protein. Research also shows prebiotic and probiotic properties in fermented dairy, like yogurt, may help your gut absorb nutrients from the food you eat, benefiting your bones. Pre- and probiotics are in products like kefir, natural yogurt and raw cheeses. Discover more about prebiotics and probiotics in our ultimate guide. Protein makes up about 50% of your bone volume and about one-third of its mass! Bone health isn’t just a skeletal issue, rather, it’s a musculoskeletal issue. You see, bone loss and muscle loss that occur with aging are closely related. And factors that affect bone mass, like your protein intake, also affect muscle anabolism (growth). So keeping your entire musculoskeletal system happy and healthy is the goal – and adequate protein intake is crucial. It provides the structural framework for bone. It raises insulin-like growth factor (IGF-1) levels — a hormone that is important to boost bone density, muscle growth, and healing. It increases the amount of calcium absorbed in the intestines, and therefore, the amount used by the body. It’s vital for muscle growth. 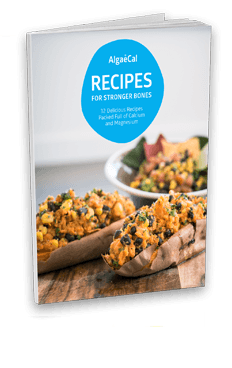 While there is a widely held belief that high-protein diets (especially animal-based protein) result in increased urinary calcium excretion and bone resorption (bone breakdown), the science is clear that higher protein diets have actually been associated with greater bone mass and fewer fractures when calcium intake is adequate. Some of the top, complete food sources of protein include seafood, meat, dairy, quinoa, buckwheat, chia and hemp seeds. You’ll find that most official health organizations recommend a modest protein intake. The recommended daily allowance is 0.8 grams per kilogram of body weight per day. But research suggests that adults aged 65 years and over may require higher intake of between 1 and 1.2 grams of protein per kilogram per day. And those with sarcopenia (loss of muscle tissue with age) may need more at 1.2 to 1.5 grams of protein per kilogram per day. For protein requirements in greater detail, read our in-depth post on protein and bone health. You can also use this easy online protein calculator. You may be surprised to see this on the Foods for Osteoporosis section, however, alcohol in moderation has been shown to benefit overall health – and now bones! There are two types of alcohol that have been shown to have a positive effect on bone health. Silicon plays a key role in bone formation by stimulating our production of osteoblasts (bone-building cells), our synthesis of type 1 collagen, and by boosting calcium’s incorporation into bone. It’s also been shown in human studies to improve bone mineral density. Most notably is the large, U.S. population-based Framingham Offspring Study, which reported that higher dietary silicon intake in both men and younger women was associated with improved bone mineral density and skeletal health – especially cortical bone strength (the denser outer part of your bone). Consumption of at least 40 milligrams of silicon daily was the amount associated with increased bone mineral density. In fact, it accounted for up to 10% more bone mineral density between those individuals with the highest (> 40 mg/day) and lowest (< 14 mg day) intakes of silicon. Mineral waters and beer are by far the richest dietary sources of bioavailable silicon. To get the most silicon from beer, drink Indian Pale Ales (IPAs). The silicon all beers contain is highly soluble, but IPAs retain more because they are exposed to less heat during the malting process. The darker ales, such as the chocolate, roasted barley and black malt, all undergo substantial roasting and thus have far lower silicon content. Also look for beers with the highest amounts of hops. Hops contain surprisingly high levels of silicon — as much as four times more silicon than is found in malt. However, hops are used in much smaller quantities than grains in beer production. In Western countries, dietary intake of silicon ranges from 13-62 mg per day. Bone Health Expert, Lara Pizzorno recommends at least 40 mg per day. In addition to being clinically proven to increase bone density safely and naturally ─ Algaecal Plus contains 26 mg of silicon in every daily dose (4 capsules), plus the other 12 essential minerals required for strong bones. Red wine, in particular, has also been identified from the Framingham Osteoporosis Study to be beneficial to bone health in women. The potential contributor to this association is resveratrol. Resveratrol is a polyphenol that is abundant in red wine, grapes — and even nuts! It’s gained interested and attention for its heart-protecting and cancer-preventing benefits. Resveratrol also possesses anti-inflammatory properties, which are beneficial for bone health. Moderate alcohol consumption may offer protection for health and bones, but a review of the studies on alcohol and bone health found that intakes beyond a certain level may show negative effects as well. They suggested what is known as the “J”-shaped curve. If you enjoy your glass of red wine or beer at dinner, continue to enjoy yourself! Just keep in mind that excess alcohol consumption has been shown to be detrimental to overall health and bones. 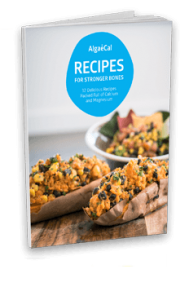 Your bones do best when they receive the full combination of all the micronutrients necessary to build new bone – a fact amply demonstrated by the Combination of Micronutrients for Bone (COMB) Study. The study was published in the Journal of Environmental and Public Health in February 2012. Right after the annual meeting of the American Academy of Orthopedic Surgeons first officially warned doctors that the bisphosphonates increase the risk for “atypical femur fractures.” The COMB study firmly demonstrated that providing our bones with the nutrients they need along with regular weight-bearing exercise is as, or more, effective than any of the bisphosphonates or strontium ranelate*, produces no negative side effects and is a lot less expensive! Each day, the participants of the COMB Study took vitamin D3 (2,000 IU), DHA (250 mg), K2 (in the form of MK-7,100 mcg), strontium citrate (680 mg), magnesium (25 mg), and dietary calcium. On top of that, they were advised to engage in daily weight-bearing exercise – that’s it! After the completion of the 12-month COMB Study, results revealed an increase of bone mineral density of more than 3% for a major proportion of participants. “This combined micronutrient supplementation regimen appears to be at least as effective as bisphosphonates or strontium ranelate in raising bone mineral density (BMD) levels in hip, spine, and femoral neck sites,” according to researcher Dr. Stephen Genius. In other words, you can maintain and restore your bone health the natural way with results that mirror or best prescription drugs. Not only did the results show an increase in bone mineral density, but there were no fractures in the group taking the micronutrient protocol, in the entire 12-month time period. If you have been on a bisphosphonate in the past and did not receive the results you expected, this may work for you, too. The silver bullet approach (usually a prescription drug, but sometimes one or maybe two nutrients, typically calcium plus vitamin D) is likely to be ineffective. Or even in a “best case scenario,” will be nowhere near as effective at restoring the health of our disintegrating bones as a comprehensive approach that utilizes optimal doses of all the key nutrients our bones require along with regular weight-bearing exercise. Make sure to include all of the minerals, vitamins, and fats outlined in the section below and you’ll have strong, healthy bones for life—naturally. Each of the following nutrients plays a vital role in combating bone loss and building new bone. And ideally, you need to be consuming them all. Click on the name of a nutrient to find out why it’s important. Calcium is the most abundant mineral in the body and is definitely a “major” mineral within us. And for good reason. Without calcium, we couldn’t build (or maintain) our bones or teeth. Almost 99% of the calcium in our bodies serves as the key structural component in our skeleton, where it’s also used as a calcium “bank account” from which withdrawals can be made to release calcium into our bloodstream should a drop in blood levels occur. The National Health and Nutrition Examination Survey (NHANES), a program of studies designed to assess the health and nutritional status of adults and children in the United States, shows that Americans of all ages are not getting anywhere near enough calcium from the foods we eat. Children 9-18 years. This age group is supposed to be getting 1,300 milligrams/day, but is actually getting only 935 mg/day — or about 70% of what they need to produce their adult teeth and supply their growing bones. Women over age 40. Women aged 40-70+ are supposed to be getting 1,000 – 1,200 milligrams/day, but their average dietary intake is only 882 milligrams/day – just a little more than half the amount of calcium women are supposed to be getting to maintain a healthy skeleton, especially as we go through perimenopause and menopause. Average dietary calcium intake in women aged 60 and older is even lower: 842 milligrams/day. Calcium supplementation to make up for these deficits is extremely important! For more on the most abundant mineral in your body, check out our calcium overview, calcium benefits, and calcium-rich foods pages. Did you know that as many as 80% of Americans are magnesium deficient? Deficiency of this mineral affects bone growth, osteoblastic and osteoclastic activity, osteopenia, bone fragility, and alters calcium metabolism. Calcium and magnesium work together in many cellular activities and need to be in balance for optimal function. Without magnesium, calcium may not be fully utilized and absorption problems may occur. Ultimately, magnesium is needed for calcium absorption. Studies have shown that magnesium keeps calcium dissolved in the blood and without it, would leave deposits in the kidney, causing calcification of arteries and bone joints. It’s also one of the most critical minerals for getting calcium to the bones – because it affects calcium metabolism and the hormones that regulate it. The ratio of calcium to magnesium that is recommended is 2:1, calcium: magnesium. For more on this might mineral, check out our magnesium overview, magnesium benefits and magnesium-rich foods pages. It helps you keep vitamin D around longer and use it more effectively to build bone. It prevents inflammation, greatly lowering levels of key inflammatory markers, including C-reactive protein (CRP). High levels of C-reactive protein significantly increase your risk for fracture! It’s been shown to reduce menopausal symptoms. It increases your ability to absorb and utilize magnesium, boosting all of magnesium’s beneficial effects. And it has no safety issues. The UL (upper limit) for boron is 20 milligrams per day and the good news is, you need nowhere near that. In addition to these benefits, it also lessens the amount of urinary calcium excretion. Back in 1985, when the US Department of Agriculture conducted a study in which postmenopausal women took boron daily, the women’s daily loss of calcium in their urine dropped by 44%! Yes, this study was conducted way back in 1985, but don’t let that fool you. The science is still relevant today as the study was extremely well done (gold standard) and still rings true. Furthermore, boron was helpful in preventing calcium loss in women who were low in magnesium. And even in women with adequate levels of magnesium, boron further improved their calcium retention. What does this mean for your bones? It means that boron increases your ability to not only hold on to more calcium, but also increases magnesium absorption. In turn, this reduces bone demineralization, which is a process that reduces the amount of mineral substances in your bone. So boron combats that, keeping more minerals where they belong – in your bones where they can reduce your fracture risk! For more on this crucial trace mineral, check out our boron overview, boron benefits, and boron-rich foods pages. Copper is another very important trace mineral for your bones and overall health. In animal studies, copper deficiency results in reduced bone strength and deterioration of bone quality leading to osteoporotic lesions. Similar results have been seen in research involving humans. A study performed on post-menopausal women found those with osteoporosis had significantly lower blood levels of copper compared to controls with healthy bones. Other research has reported an important and common coincidence among periodontal disease, copper insufficiency, and osteoporosis in men as well as women. For more on copper, check out our copper overview page. Manganese is critical for bone because it’s required for the production of chondroitin sulfate, which plays a key role in the first steps in bone formation. And it’s the co-factor for an antioxidant enzyme called mitochondrial superoxide dismutase (MnSOD), which is so critical for life that animals bred to lack MnSOD die almost immediately. Bone mineralization cannot start without manganese due to this trace mineral’s essential role in our production of chondroitin sulfate. Chondroitin sulfate in partnership with the osteocalcin (vitamin K2-dependent bone-mineralizing enzyme) forms the extracellular matrix, which makes up connective tissues like tendons, ligaments, bone, skin and cartilage. Like glucosamine, chondroitin sulfate has also been used as a dietary supplement for osteoarthritis. In addition to giving cartilage its elastic properties, chondroitin sulfate is also thought to have an anti-inflammatory effect, which can help reduce pain and swelling associated with osteoarthritis. In humans, manganese insufficiency promotes low bone mineral density and osteoporosis, and low MnSOD activity increases risk for osteoporosis – and cancer, diabetes, cardiovascular disease, and Alzheimer’s disease. Other research found that men fed a diet lacking in manganese became manganese deficient in just 39 days. And their blood levels of calcium increased significantly too, indicating that manganese deficiency hindered calcium deposition into bone and/or increased calcium withdrawal from their bones. For more on manganese, check out our manganese overview page. Silicon plays a key role in bone formation by stimulating our production of osteoblasts and our synthesis of type 1 collagen, and by boosting calcium’s incorporation into bone. In addition to animal studies, two large, U.S. population-based studies have shown that silicon improves bone mineral density. In the original Framingham study and a second study involving their children (the Framingham Offspring Study), have reported that risk of osteoporosis was lower in those whose dietary intake of silicon was higher. The Framingham Offspring Study showed that consumption of at least 40 mg of silicon a day was the amount associated with increased bone mineral density ー up to 10% more than those who took lower intakes of silicon during the study! Men’s silicon intake was much higher than women’s, averaging 30 milligrams per day in the original Framingham Study, and 33 milligrams per day in the Framingham Offspring study. Women averaged just 24 milligrams per day in the original Framingham study and 25 milligrams per day in the Framingham Offspring study. Furthermore, silicon intake in both sexes decreased with age: dropping ~0.1 mg lower for each year after 26 – 39 years of age. Men’s greater silicon intake was explained by their proclivity for beer. Women got most of their silicon from string beans, unquestionably a healthful food, but as far as bioavailable silicon content is concerned, no competition for beer. For more on silica, check out our silica overview page. Selenium plays a vital role in an array of antioxidant defenses that both lessen the production and activation of bone-resorbing osteoclasts, and increase the proliferation and activity of bone-building osteoblasts. Healthy thyroid hormone function is dependent upon selenium since this trace mineral is also the required co-factor for the deiodinase enzymes, which activate and deactivate our thyroid hormones. Too little thyroid hormone activity (hypothyroidism) causes bone loss, but so does too much (hyperthyroidism). For these reasons, an insufficient supply of selenium adversely changes bone metabolism, promoting bone loss. A number of studies have now confirmed that blood levels of selenium are inversely related to the rate of bone turnover: low selenium results in increased bone resorption and loss of BMD, while adequate selenium correlates with lessened bone resorption and increased BMD. One of the largest of these studies, The Osteoporosis and Ultrasound Study (OPUS), a 6-year prospective study of 2,374 healthy postmenopausal women from five European cities, confirmed that selenium status impacts bone turnover and bone mineral density (BMD), and is highly likely to affect fracture susceptibility. In this large group of healthy European postmenopausal women, higher selenium levels were associated with higher hip BMD both at study entry and after the 6-year follow-up. Conversely, lower selenium levels were associated with higher bone turnover rates and lower BMD. Whether this translated into increased risk for fracture was not as clear – in part because even the women who were low in selenium were not fully deficient, and also because follow up was only for 6 years. The researchers concluded that the data collected clearly showed adequate selenium intake is required to maintain bone. Strontium is a common mineral that is naturally found in your bones. It has a unique benefit as it provides dual activity in your bones. Strontium inhibits bone resorption while simultaneously stimulating bone growth. No other drug or natural substance is known to provide this dual effect! 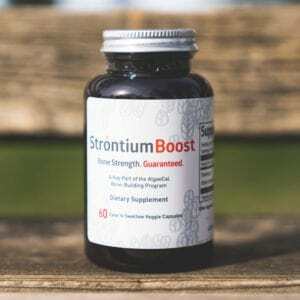 While there has been some controversy over strontium’s safety, it has all stemmed from the particular drug form of strontium, strontium ranelate, which has been shown to increase blood clot risk, cardiovascular events and more. (Strontium ranelate has never been approved in the U.S. and is now significantly restricted in Europe). The good news is, natural strontium in the form of strontium citrate, is safe and highly beneficial ─ and freely available. For more on strontium, check out our dedicated strontium overview, strontium-rich foods and strontium benefits pages. Vanadium is categorized as an ultra-trace element because it’s found in such low concentrations in foods and biological tissues. In humans, the average body content of vanadium ranges from just 100 micrograms to 1 milligram. Almost all the vanadium we consume via food or supplements is excreted, but the tiny amount that we keep has significant beneficial effects on our bones – impacts that are just now being confirmed in the current research. Promotes bone-building cells. Vanadium stimulates growth of unique stem cells that turn into osteoblasts ─ your bone-building cells! Vanadium also acts as a growth factor that produces more of these bone-building cells, too. Helps bones absorb minerals. Vanadium stimulates a special enzyme called bone alkaline phosphatase, which is crucial in drawing calcium and other minerals into bone. Increases organic bone material. Vanadium increases type-1 collagen production. Type-1 collagen is an elastic protein making up the organic part of bone. It’s also the most common form of collagen in the body! It should come as no surprise that not having enough zinc adversely affects health in numerous ways. Impairing physical growth (including that of our bones), and disrupting healthy bone remodeling, immune function, thyroid function, reproductive function, and brain-sensory functions (like taste and smell). When zinc intake is inadequate, zinc is no longer available for its many important biological roles in bone. Zinc plays a critical role in collagen formation, promotes the proliferation of our bone-building cells, the osteoblasts, and is required for osteoblasts’ creation of the bone matrix and its calcification. In other words, we cannot effectively build bone without zinc. Zinc’s role in bone is both structural because bone mineral is composed of hydroxyapatite crystals, which contain zinc, and formative because zinc is required for osteoblasts’ activity. Plus zinc promotes bone mineralization through its role as a cofactor for the bone-building enzyme, bone alkaline phosphatase. Although our focus is the importance of vitamin D for your bones’ health, you’ll be happy to know that getting enough vitamin D3 is associated with lower risk of not just osteoporosis, but cancer, diabetes, obesity, cognitive decline, rheumatoid arthritis, and multiple sclerosis. Enables active calcium absorption. Without adequate vitamin D, you will absorb only 10–15% of the calcium you consume, whether from your diet or from a calcium supplement. Why? Calcium is absorbed both actively and passively in our intestines. Active absorption occurs in the first two sections of the small intestine, the duodenum and the jejunum, and accounts for almost all (85-90%) of all the calcium absorbed. Passive absorption takes place in the final portion of the small intestine, the ileum, but accounts for only a minor fraction of the calcium absorbed. Active absorption of calcium doesn’t happen without the help of vitamin D. Vitamin D in its fully activated form of 1,25-D that attaches to vitamin D receptors in cells in the lining the small intestine. 1,25-D binding stimulates these cells to produce and secrete special calcium-binding proteins, collectively called “calbindin,” which collect calcium and transport it across the intestinal lining into the bloodstream. Improves muscle strength and repair. The latest research is reporting numerous ways that muscle mass and bone mass are linked with vitamin D. For instance, vitamin D increases the formation and development of new muscle cells and helps regulate how quickly our muscles heal and regenerate after injury. Vitamin D deficiency causes loss of muscle along with bone, and is a key reason why sarcopenia (muscle wasting) is typically present along with osteoporosis. Lessens inflammation. Vitamin D can improve immune function and lessen inflammation by helping to prevent excessive activation of osteoclasts, the cells that break down bone. For more on vitamin D, check out our Vitamin D overview, vitamin D benefits, and vitamin D rich-foods pages. Vitamin K is not just a single nutrient, it comes in two different forms, vitamin K1 or phylloquinone, and vitamin K2 or menaquinone. Each plays a different, but key role in the health of our bones. Vitamin K1: Vitamin K1 has very powerful anti-inflammatory actions. Too little vitamin K1 promotes inflammation, leading to excessive osteoclast activation and bone loss. Vitamin K1’s most critical role is to help your blood clot. Without enough vitamin K1, you would bleed to death even from the tiniest of cuts. For healthy bones, vitamin K1 intake should be at least 1,000 micrograms (1 milligram) per day. A healthy diet that includes lots of leafy greens can easily provide 1,000 micrograms of vitamin K1 daily. Vitamin K2: Vitamin K2 is not a single nutrient either, but a family of vitamins, the menaquinones (MKs). MK-4 and MK-7 are the best researched and the two types of K2 available in supplements. Vitamin K2’s most critical roles is that it determines where calcium gets deposited in your body. When vitamin K2 is adequate, it directs calcium straight to your bones and keep it out of soft issues like blood vessels, kidneys, breasts or brain ─ where you don’t want it to go! Medical journal articles claiming that calcium, with or without vitamin D, increases risk for heart attack, does not prevent falls, or does not lessen risk of fracture are based on a lack of awareness of this fact of human physiology. In none of the studies in any of these articles is vitamin K2 included – or even considered. Vitamin K2 is found in highest amounts in one food – a Japanese fermented soybean product called Natto. A few cheeses fermented by K2-producing bacteria provide tiny amounts of K2: English blue cheese, Swiss Emmental and Norwegian Jarlsberg. But not enough for healthy bones. K2 is also present, but again in insignificant amounts, in liver, meat and egg yolks. To meet your bones’ needs for vitamin K2, you need to take a supplement. Healthful absorption and use of calcium requires both vitamin D and vitamin K2. For more on vitamin K2 and its different forms MK4 and MK7, check out our vitamin K2 dedicated page. Vitamin C is a water-soluble vitamin that must be obtained from our diets as human are unable to make it ourselves. Also known as ascorbic acid, this vitamin benefits your bones by lessening inflammation, restoring the antioxidant glutathione, and promoting collagen formation. It has been extensively studied for its importance for bone health, particularly in men and women over the age of 60. The majority of studies have reported a significant beneficial effect of vitamin C on the risk of fracture and bone mineral density. Read more on vitamin C in our Ultimate Guide. Vitamin E is a fat-soluble antioxidant that protects against free radical damage, which would otherwise excessively activate osteoclasts and cause bone loss. Natural vitamin E (mixed tocopherols and tocotrienols) lowers inflammation by neutralizing free radicals. Vitamin E has been linked to increased bone mineral density, lowered risk of sarcopenia, dementia, and osteoporosis. The RDA (recommended dietary allowance) for vitamin E is currently set at 15 mg/day of α-tocopherol for adults (aged 19 and older). However, current evidence strongly suggests that the RDA is far too low to protect against the increasing free radical damage (and resulting increase in chronic inflammation, which promotes bone loss) typically seen with aging or to support healthy immune function, which is also typically compromised as we age. A consensus about the exact daily intake of vitamin E for optimal health protection has not yet been reached. But the medical researchers publishing the most current papers on vitamin E believe that the scientific evidence is strong enough to recommend daily intakes of at least 150 IU of α-tocopherol per day. If you are taking a certain bisphosphonate your needs for vitamin E will be increased as these drugs greatly suppress levels of both ƴ-tocopherol and CoQ10. This adverse effect is thought to contribute to some of the bisphosphonates’ side effects, including osteonecrosis of the jaw, musculoskeletal pain, and “atypical” fractures of long bones. There are eight B vitamins and while they work as a team, each also plays its own role within your body. Now, recent human research have shown that five B vitamins, B2 (riboflavin), B3 (niacin), B6 (pyridoxine), B9 (folate) and B12 (cobalamin) all play major roles in supporting the health of your bones, too. Vitamin B2 – Riboflavin: Riboflavin is important for preventing free radical damage, contributing to growth, boosting energy levels and maintaining healthy blood cells. Riboflavin is also required for the reactions through which iodine is recycled to produce more thyroid hormones. A lack of adequate riboflavin increases risk of hypothyroidism, which promotes bone loss. The current U.S. RDI is 1.3 mg/day for male adults and 1.1 mg/day for female adults. The top food sources of riboflavin are dark leafy green vegetables like spinach and beet greens, asparagus, cremini mushrooms and almonds.. In addition, the biggest contributors of B2 in Western populations are fortified milk and dairy products. Food fortification is the process of adding micronutrients like vitamins and trace minerals to foods. Vitamin B3 – Niacin: Niacin is required for the production of nitric oxide, which relaxes blood vessels, lowers blood pressure and improves blood flow and nutrient delivery to cells. Current research has confirmed that a healthy blood supply is crucial for healthy bones. Bone receives up to 10% of cardiac output, which is the volume of blood being pumped by the heart. The process of bone turnover and formation requires lots of nutrients and are delivered by the bloodstream. The U.S. RDI for niacin is 16 mg/day for men and 14 mg/day for women. The top foods sources of niacin are yellowfin tuna, pasture-raised chicken and turkey, and wild-caught Alaskan salmon. Vitamin B6 – Pyridoxine: Vitamin B6 includes three pyridines: pyridoxine, pyridoxal and pyridoxamine, and their 5′-phosphorylated derivatives. Pyridoxine is important for major functions such as memory, blood flow, and energy expenditure. It also helps your body maintain a healthy nervous system and can create antibodies that your immune system uses to protect you! Once vitamin B6 is converted with the help of riboflavin into its active form, it increases your cells’ ability to absorb magnesium. In other words, your ability to absorb magnesium depends on both riboflavin and vitamin B6. The current U.S. RDI is 1.7 mg/day for men and 1.5 mg/day for women over 50. The top food sources of vitamin B6 include pasture-raised turkey, grass-fed beef, sweet potatoes, sunflower seeds, and bananas. Vitamin B9 – Folate: Folate plays a crucial role in the process of DNA, RNA, proteins and phospholipids. The U.S. RDI for folate is 400 mcg for both adult women and men. The top food sources of folate include asparagus, artichokes, spinach, mustard greens, pinto beans, and free-range eggs. This is the one B vitamins where deficiency is rare so the key takeaway is to eat folate-rich foods. And if you are taking a vitamin B complex (typically delivers all eight B vitamins) supplement, make sure it contains folate and not folic acid. Folic acid does not equal folate. Vitamin B12 – Cobalamin: Cobalamin plays important roles in the processing of fats, proteins and carbohydrates in your body. It’s also needed for energy production. Mild to moderate deficiency in vitamin B12 can be found in 20% of the elderly population and can lead to impaired cognition. This can be attributed to poor absorption and gastrointestinal issues. Deficiency in vitamin B12 can also result in pernicious anemia – this is a condition that causes numbness of extremities, general weakness, and pallor (unhealthy pale appearance.) In fact, vitamin B12 was first revealed to be related to fractures and osteoporosis in patients with pernicious anemia. The mechanisms on how vitamin B12 impacts your bones is still unclear, however, the link has been confirmed in research. The Framingham Osteoporosis Study looked at vitamin B12 levels and bone health indicators in 2,576 women and men from 30-87 years old. Bone mineral density was measured by a DEXA at the hip and spine and plasma vitamin B12 was measured. Both men and women with lower concentrations of vitamin B12 had lower bone mineral density than those with vitamin B12 above the concentration cut-off. The differences were significant for women at the spine and for men at most hip sites. Additional studies support that vitamin B12 may preserve bone mineral density and reduce fracture risk. However, further research is needed to discover the specific mechanisms between vitamin B12, bone mineral density, and fracture risk. The U.S. RDI is 2.4 mcg per day for adults 50 years or older. 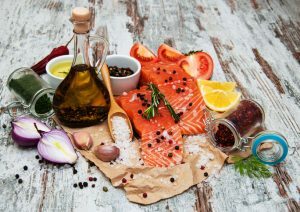 The top food sources of vitamin B12 are in animal sources and include sardines, wild-caught Alaskan salmon, shrimp, scallops, grass-fed lamb and beef, and yogurt. Unfortunately, the RDI recommendations do not take into account that deficiencies of all B vitamins are frequently seen in the U.S. population overall and increase dramatically with age. There are also commonly used drugs that deplete B vitamins, further increasing needs. For instance, proton pump inhibitors (PPIs) and drugs to treat peptic ulcers can interfere with vitamin B12 absorption. While anticonvulsants and oral contraceptives can deplete vitamin B6. They also negatively impact your bones. For more on, check out our top post on Common Prescription Drugs That Cause Bone Loss. The omega-3 essential fatty acids, eicosapentaenoic acid (EPA) and docosahexaenoic acid (DHA), defend your bones against osteoporosis by lowering inflammation through many different mechanisms. Chronic inflammation has been shown to be a major contributor to osteoporosis. In addition to providing your bones with all the nutrients they require to rebuild, lowering inflammation is the most important action you can take to prevent or reverse osteoporosis. Why? Lowering inflammation is essential to prevent osteoporosis because chronic low grade inflammation continuously activates osteoclasts, the specialized cells that break down bone. EPA and DHA are found in highest amounts in animal foods such as anchovies, salmon, mackerel, and sardines. Can we get enough of the omega-3s, EPA and DHA, we need to maintain healthy muscles and bones from fish? The only good dietary sources of EPA and DHA are wild caught cold water fatty fish, such as sardines, salmon, sablefish, halibut and tuna. It’s important to specify that the fish be “wild caught” because the amount of EPA and DHA in fish is highly dependent on the fish or animal’s diet. Wild fish eat algae, sea plants, and other smaller fish that are rich in omega-3s, so they produce and store EPA and DHA in their tissue. Authorities recommend optimal health benefits provided by omega-3s are associated with intakes of from 2-4 grams of EPA and DHA per day. You’d need to consume at least two 3-ounce portions of the fish that are low in mercury every day to safely provide enough EPA and DHA to beneficially impact the health of your bones. That’s a lot of fish! So again, to ensure you’re getting optimal amounts of EPA/DHA you need to supplement with a high-quality fish oil. One thing to note is that this recommendation does not consider omega 6 fatty acids (omega 6s). To talk about omega 3s without talking about omega 6s is irresponsible. Why? Because balance is key. While optimal amounts of omega 3s are important, you have to take your omega 6 fatty acid intake into consideration, too. Without doing so, you’d be doing a disservice to your health. Why? Omega 6 fatty acids are pro inflammatory, while omega 3 fatty acids are anti inflammatory. Authorities say that the optimal omega 6 to omega 3 ratio is 2:1. However, the ratio found today in Western diets is closer to 16:1! So making sure you’re balancing these two types of omega fatty acids is crucial to your bones and overall health. For more, check out our post on The Modern Omega 6 to Omega 3 Ratio and How To Fix It. According to the International Olive Oil Council, virgin olive oil is defined as follows: extra virgin olive oil (EVOO), virgin olive oil, and ordinary virgin olive oil. 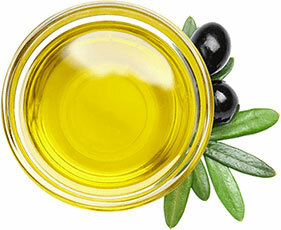 Virgin olive oil is one of the main sources of dietary fat in the Mediterranean diet. The Mediterranean diet is a well-known diet for the prevention of chronic diseases. It has been shown to be beneficial for blood pressure, all cause and cardiovascular mortality, lipid metabolism and weight loss and has also been associated with a reduced risk of Parkinson’s disease, Alzheimer’s disease and cancer. Research over the last decade has also strengthened the case of a Mediterranean diet for osteoporosis. The Women’s Health Initiative (WHI) observational study, which has been published in the Journal of the American Medical Association (JAMA) is one of the largest studies to date spanning more than 15 years and 93,676 women from 50 to 79 years old. It found that those a higher adherence to a Mediterranean diet is associated with a lower risk for hip fractures. However, no significant difference in bone loss and changes in lead body mass were found. The Mediterranean diet contains a variety of foods, including olive oil, with antioxidant and antiinflammatory properties that may protect bones. While further research is needed for its impact on bone health specifically, there is strong evidence that it benefits chronic diseases. Olives, olive oil, and olive polyphenols have been highlighted as protective for bone health specifically. Olives and its products’ bone-building effects have been attributed to their ability to inhibit bone resorption (bone break down) and increase bone formation, by suppressing inflammation and oxidative stress. When it comes to olive oil, more studies have been done, especially in humans. The table below summarizes the effects of olive oil on bone in human studies. A Mediterranean diet enriched with olive oil is associated with higher serum total osteocalcin levels in elderly men at high cardiovascular risk. Fernández-Real JM, Bulló M, Moreno-Navarrete JM, Ricart W, Ros E, Estruch R, Salas-Salvadó J. J Clin Endocrinol Metab. 2012 Oct; 97(10):3792-8. Olive oil in the prevention and treatment of osteoporosis after artificial menopause. Liu H, Huang H, Li B, Wu D, Wang F, Zheng Xh, Chen Q, Wu B, Fan X. Clin Interv Aging. 2014; 9():2087-95. The biological effects of tocotrienol on bone: a review on evidence from rodent models. Chin KY, Ima-Nirwana S. Drug Des Devel Ther. 2015; 9():2049-61. Let’s take a closer look at those studies. The Prevencion con Dieta Mediterranea (PREDIMED) study had 127 community-dwelling men aged 55-80 years with high risk cardiovascular risk. They were divided into three groups following the Mediterranean diet with virgin olive oil (at least 50 mL per day), mixed nuts ( at least 30 g per day), or a low-fat diet (control), and were then followed for up to two years. The results? Bone formation markers (circulating total osteocalcin and procollagen type I N-propeptide levels) were increased in the men taking the Mediterranean diet with virgin olive oil. This was not seen in those taking the Mediterranean diet with mixed nuts or the low-fat control diet. While this was a cardiovascular study and bone health was not the primary end-point, there were positive results in bone remodeling markers. Which suggests that a Mediterranean diet with virgin olive oil may have protective effects on bone. The next study of Liu et al. was small ─ only 20 patients aged 30-50 years old who had undergone a hysterectomy participated. Ten participants took 50 mL of olive oil daily and the control group did not receive any form of supplementation (which could be subject to bias because they did not receive a placebo). After a one year follow up, the control group saw significant bone mineral density decreases in the L3, L4 and left femur, which was not seen in the treatment group. The final human study we will look at included 60 postmenopausal Caucasian woman aged 50-61 years attending osteoporosis screening at a hospital. Participants were randomly divided into two groups. One group took 20 mL or enriched extra virgin olive oil (which included vitamin K1 0.07 mg/100 mL, vitamin D3 50 µg/100 mL and vitamin B6 6 mg/100 mL) per day while the other group took 20 mL of plain extra virgin olive oil per day. Bone mineral density was to be assessed including bone vitamin K status (measuring undercarboxylated osteocalcine (ucOC) plasma levels, the ratio between ucOC and carboxylated osteocalcine (UCR) and the relations with oxidative stress markers). After one year, the group taking the enriched olive oil showed lower levels of ucOC and UCR compared to the group taking just plain olive oil. For bone mineral density, there was a significant increase in T-scores in the enriched olive oil group compared to the plain olive oil group. 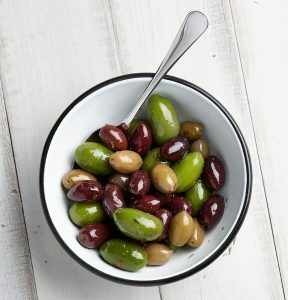 Black olives, particularly Lucques olives produced in southern France, seem to have a higher levels of polyphenols (compounds in plants packed with antioxidants) than green olives. One study compared the osteoporosis-preventing effects of these black Lucques olives and green olives in a 6 month rat study. It found that black Lucque olives significantly prevented the decrease in bone density in the inflamed rat group, but this was not seen with green olives. In other words, black Lucque olives were far superior in osteoporosis-preventing effects compared to green olives, which could be attributed to the higher polyphenol levels. One potential issue with olives, especially those that are well cured, is the salt content. So while olives may osteoporosis-preventing effects, limiting your salty olive intake in favor of the oil itself may be better way to go. Olive polyphenols can be found in various parts of the plants like the leaves, the fruits, and in the water that is used during olive oil production (also called olive mill waste). For instance, olive mill waste is a byproduct of olive oil production. It also contains high levels of polyphenols. One study looked at whether or not the main phenolic compounds in olive oil: tyrosol and hydroxytyrosol could improve bone loss in rats. They found that these two phenolic compounds prevented osteopenia by increasing bone formation. This is most likely due to their antioxidant properties. Research on olive oil and bone health in human trials could be improved by conducting longer treatment periods and larger sample sizes. 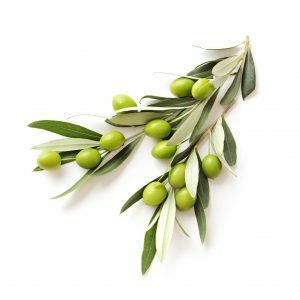 While the bone protective effects of olive, olive oil, and olive products have the ability to increase bone formation, inhibit bone resorption more research is needed to discover the exact pathways they do so. In the space of 70 years, our diets have gone from nutrient dense to nutrient depleted. The Standard American Diet- appropriately acronymed SAD – and our nutrient-stripped crops – All fruits and vegetables, beans and legumes, and nuts and seeds used to be organically grown. All meat and dairy products were derived from pastured animals, all chickens were free-range, and all fish were “wild-caught.” In comparison, the average consumer today eats feedlot meats, nutrient-stripped refined grains, and lots of added sugars and chemicals. And SAD contains next to no nutrient-dense foods. Modern farming and agricultural practices – Farming techniques that focus on high crop yields are destructive to the topsoil. As a result, the soil is less capable of holding moisture, and therefore minerals too. A 2006 whitepaper from the Nutrition Security Institute claimed that our food system is rapidly losing its ability to produce food with nutrient levels adequate to maintain our health. Here’s the reality. The produce our parents and grandparents ate had significantly more vitamins and minerals than today’s food supplies. A study in the Journal of the American College of Nutrition compared the nutritional data of 43 fruits and vegetables from both 1950 and 1996. The study found that the crops suffered “statistically reliable declines” in protein, calcium, phosphorus, iron, riboflavin, and vitamin C within that time frame. So even if you are one of the few eating well to support overall and bone health – it still may not be enough. The need for supplementation is ever increasing. Taking supplements is the easiest way to ensure your body is getting enough of the vitamins and minerals that it needs to promote bone health. And as we’ve discussed, it’s not all about calcium. Bone growth and maintenance relies on many other minerals and vitamins too: magnesium, boron, copper, manganese, silicon, nickel, selenium, strontium, phosphorus, potassium, vanadium, zinc and vitamins C, D3, and K2. Plus omega 3 fatty acids like EPA and DHA. Now, you might be thinking that that’s a lot of supplements to be taking every day. But what if you could get all of those bone supporting elements in one convenient package? Well, you can. With our AlgaeCal products! The vitamins and minerals in AlgaeCal Plus are all sourced naturally. As its name suggests, the calcium in AlgaeCal comes from a unique strain of marine algae called Lithothamnion superpositum. It’s found in the pristine waters off the coast of South America and naturally contains many of the 13 bone supporting minerals, in similar proportion to that of healthy human bone. This superfood algae is hand-harvested and milled into an organic powder. Then we add crucial bone-building nutrients vitamin C, D3, K2, magnesium and boron. This plant-based calcium is easy to digest, and won’t cause you constipation or bloating. And the vitamin K2 ensures the calcium gets where it’s needed- your bones- rather than soft tissues like kidneys and arteries. That all means AlgaeCal Plus is a truly side effect-free calcium! But here’s the best part. When researchers gave AlgaeCal Plus to a group of women over 40, they saw a first in human history: a calcium supplement actually increased bone density by a stunning 1.3% in just 12 months. And this is at a time when men and women typically lose 1% without proper calcium supplementation. 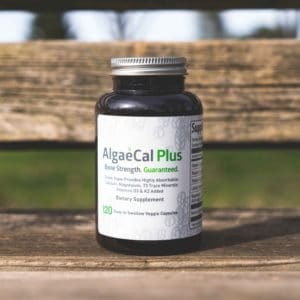 For these reasons, AlgaeCal Plus is a perfect dietary supplement to ensure you get enough of the bone-building nutrients you need. And if you want to accelerate bone growth in half the time- and build more of it every year- you can add Strontium Boost to the mix. 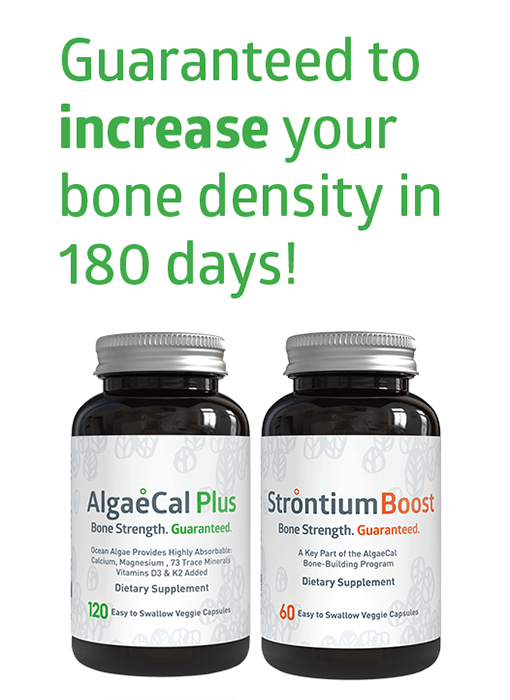 When you take Strontium Boost with AlgaeCal Plus, you’re guaranteed to see increased bone density. And in as little as 6 months! If your follow up DEXA scans don’t show increased bone density, we’ll refund every penny. So it’s risk-free to give Strontium Boost and AlgaeCal Plus a try! Imagine how that could change your everyday life. Not only will you see improved DEXA scan results, but you will be able to live the life you deserve! You’ll put the fear of fracture behind you and stop second-guessing what you “should and shouldn’t do” because of your bones. Perhaps best of all, these bone density improvements don’t stop. A study published in the Journal of the American College of Nutrition in February 2016 followed 172 postmenopausal women in their mid-60s taking AlgaeCal. The results? Participants consistently increased bone density each year, for 7 years. On average, the women enjoyed a 7.3% increase in bone density over that time! There were no adverse effects in any of the women, and 45 blood chemistry tests revealed no cardiovascular risks. 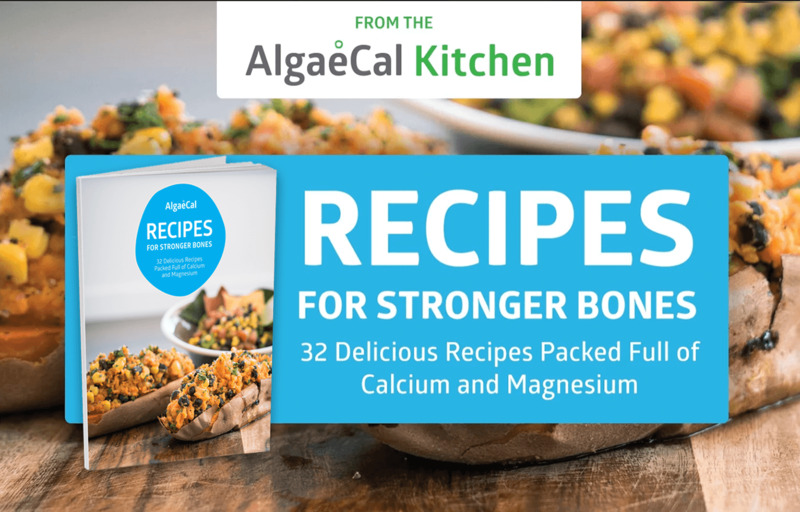 This “Bone Builder Pack” of AlgaeCal Plus and Strontium Boost delivers all the bone-friendly nutrients you need in one source. Naturally, it’s the world’s only clinically-proven supplement duo to stop and reverse bone loss. And what’s more, you can increase your bone density even further by adding AlgaeCal’s Triple Power Omega 3 Fish Oil to your supplement regime. How? As we discussed earlier, chronic low grade inflammation continuously activates osteoclasts, the specialized cells that break down bone. The omega 3 fatty acids EPA and DHA defend your bones against osteoporosis by producing resolvins and protectins. The resolvins shut down the inflammatory process, and the protectins further protect us from chronic inflammations’ harmful effects. And guess what? 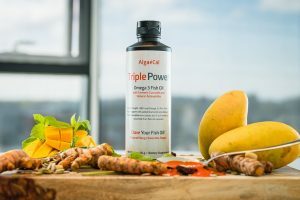 Triple Power Omega 3 Fish Oil is packed full of 1480 mg of both EPA and DHA – in one delicious tablespoon! And that’s not all. Triple Power Omega 3 Fish Oil contains turmeric curcumin and astaxanthin too. Both are powerful anti-inflammatories that help to further prevent the excessive activation of osteoclasts. One study found turmeric curcumin be more potent at suppressing inflammation than Aspirin! But don’t take it from us, take it from the thousands of men and women who have reclaimed their bone healthy safely and naturally.